Executive Club Members who may be travelling less than usual as they’re on maternity, paternity or adoption leave will now also be offered a ‘status freeze’. 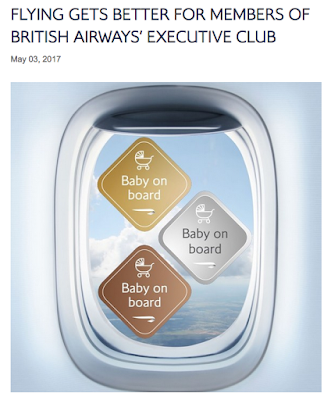 This means their membership will be put on hold for a year, so they don’t lose their hard-earned Executive Club Bronze, Silver or Gold status - even if they take fewer or no flights. Also when those parents enroll those children as part of a household account they''ll get 1,000 bonus Avios as a welcome gift. Find out more here.